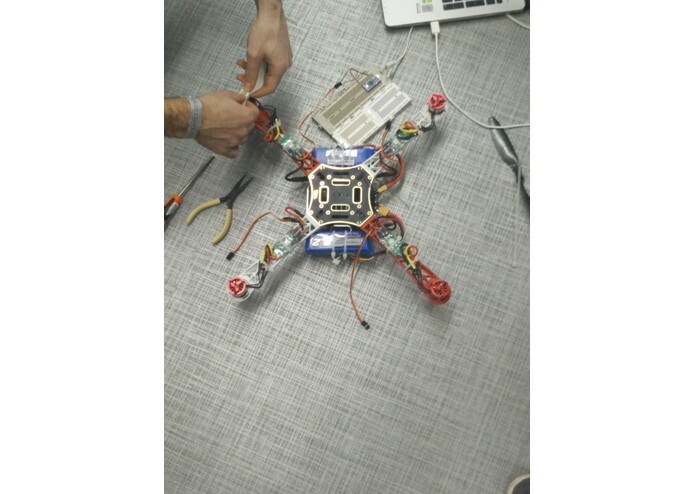 We've made a Drone with independent components, bought by ebay. We had to modify them to make them fit as they weren't supposed to be placed together. 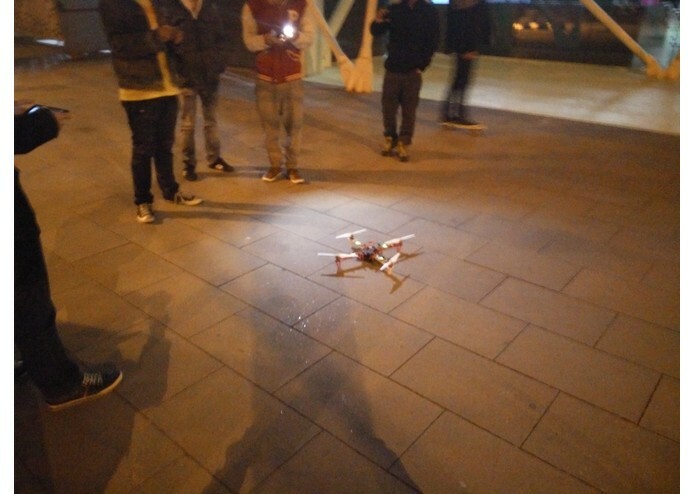 We used an Android interface in order to connect a Smartphone with our Drone via Bluetooth. 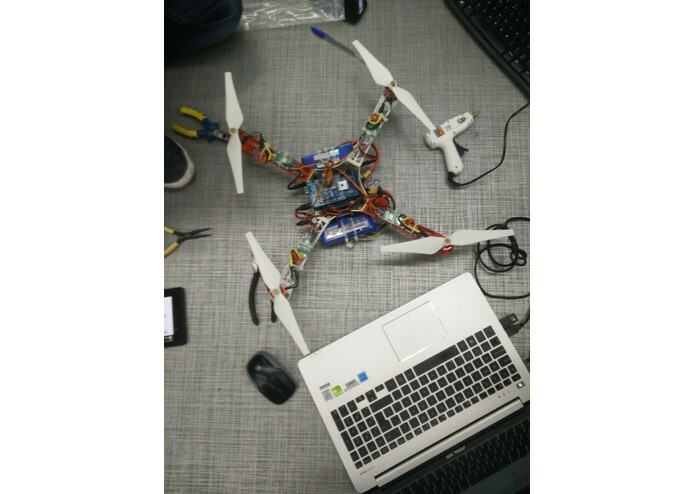 Data on our Drone is received through Arduino which mission connect Android with Drone. 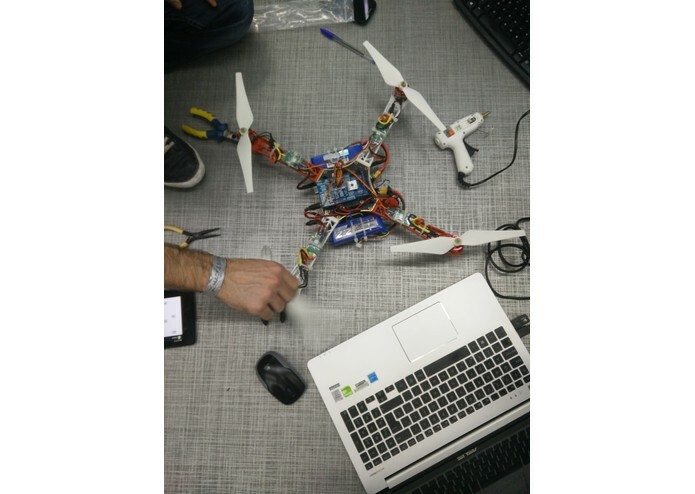 It uses accelerometer sensor aswell to stabilizate the Drone. Through an Android interface communicates to an Arduino system via Bluetooth. 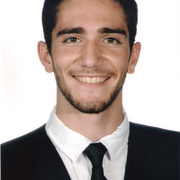 Communication problems between PC and Arduino via Bluetooth and Leapmotion problems on LInux. 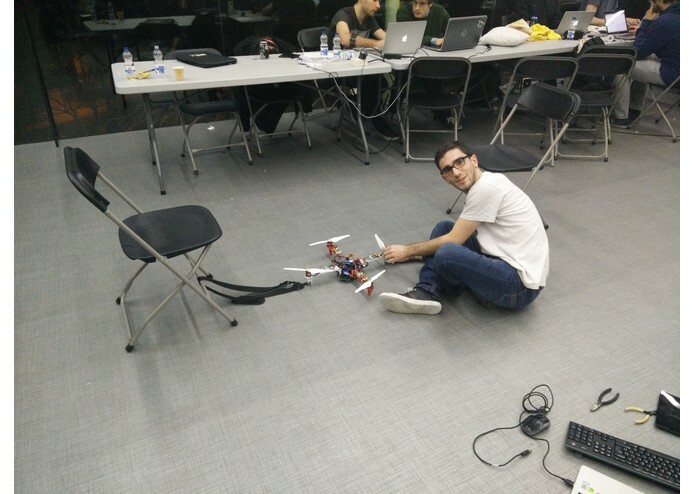 Our drone flyes in a stable way and we have accomplished our goal of creating it from zero. Creating a connection via Bluetooth and use Leapmotion. Creating a hardware in a limited time. 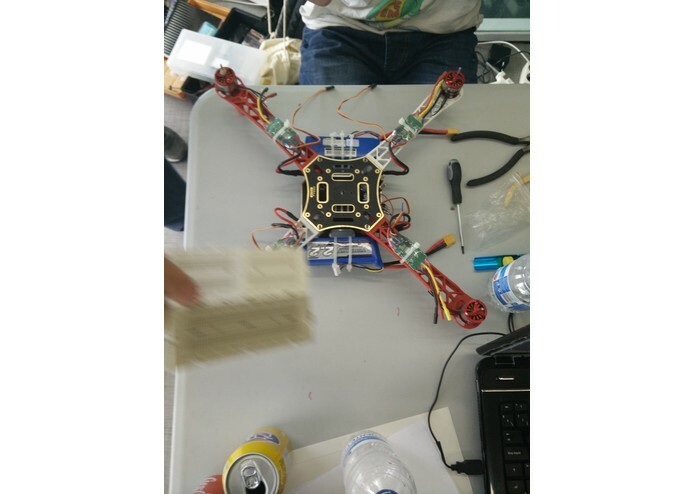 Creating a flying device.